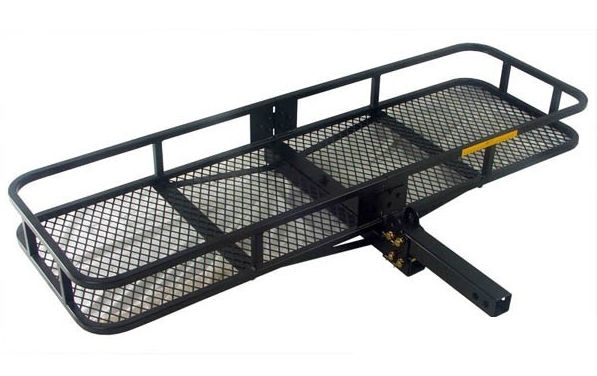 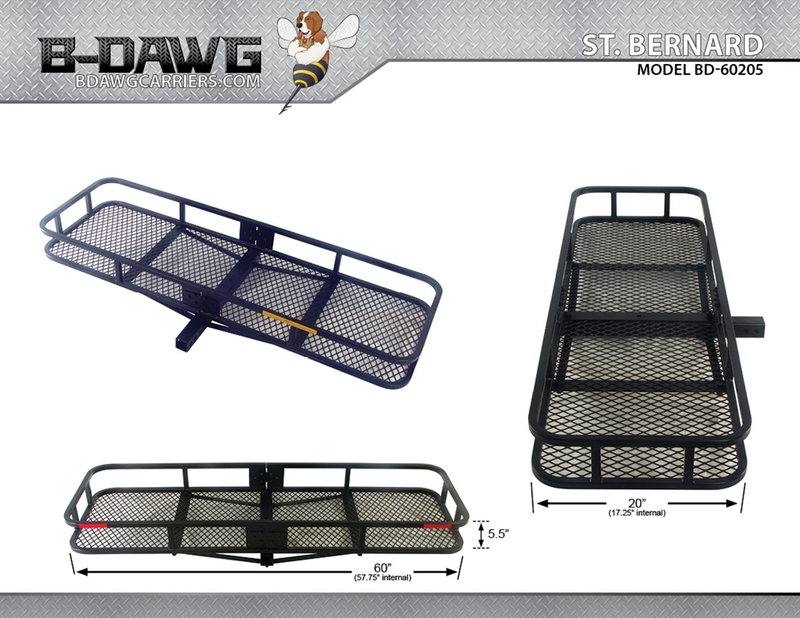 The B-Dawg BD-60205-F Folding St. Bernard Cargo Carrier mounts quickly and easily into any 2" hitch receiver. 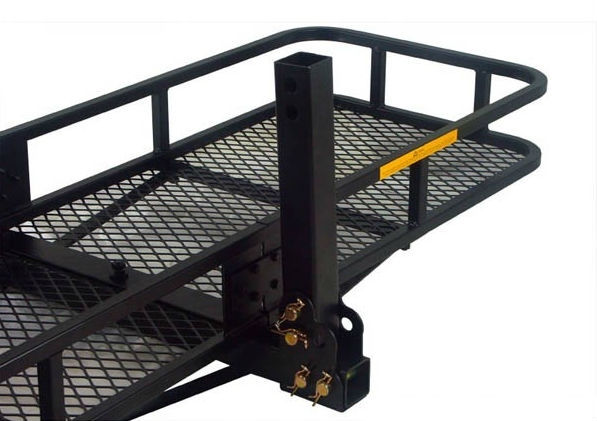 It can support up to 500 lbs and can handle even your bulkiest loads. 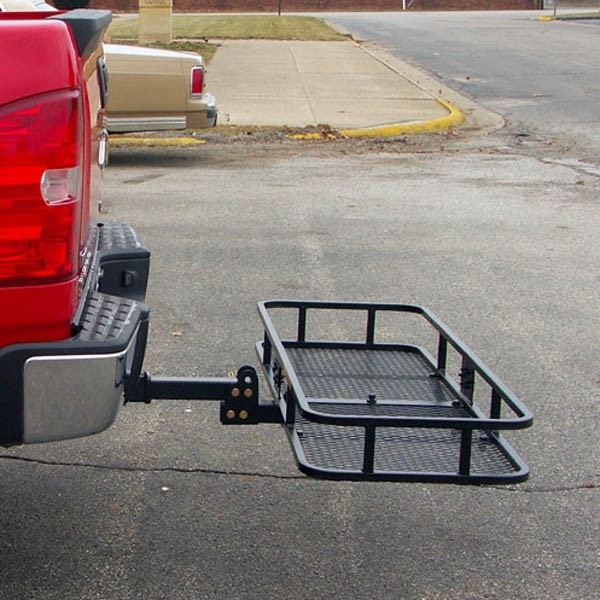 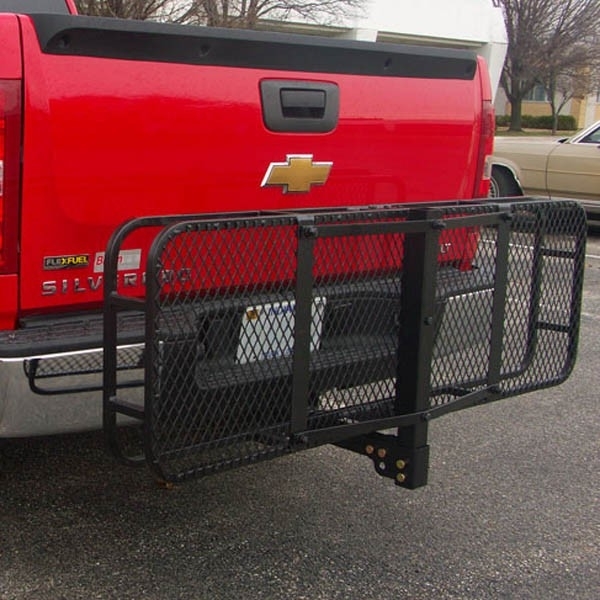 The 5-1/2" railing holds your cargo in firmly and securely while providing ample anchor points for your own tie down straps and cargo nets. 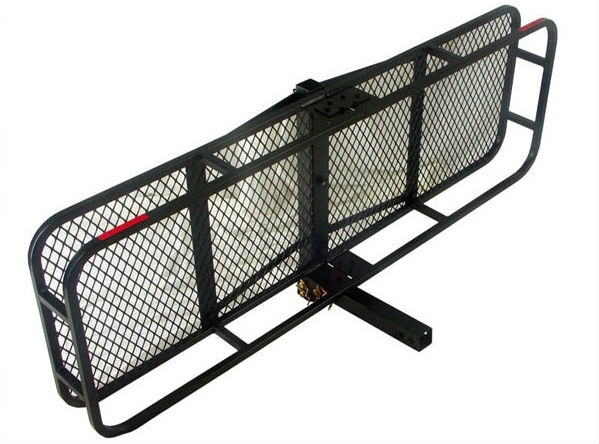 With this carrier you also have the option of folding it up when not in use.